In fact more than half of the "ar•che•types" inserts I found in my flea market finds purchase were missing the silver foil, so I decided to do a little research on the issue. 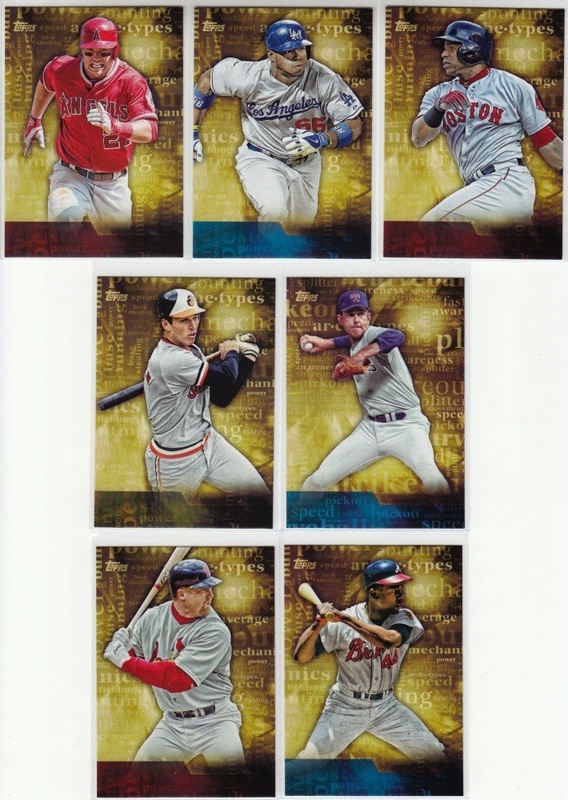 What I discovered is that more than a handful have made their way into packs of 2015 Topps. Worst case scenario... my baseball insert binders will always be willing to give the Trout, Ripken, Ryan, McGwire, and Aaron a loving home. And since Cespedes is a former Athletics fan favorite... he'll probably stick around as well. 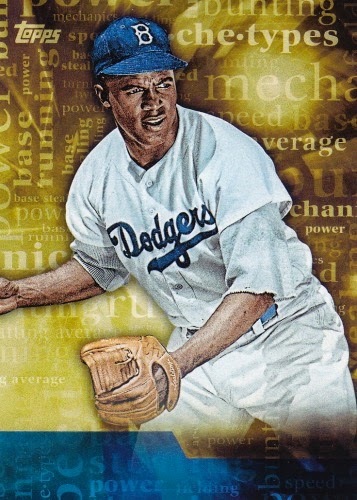 As for the Puig... if he pans out and becomes the star everyone predicts he'll be... then maybe this will be the insert card that kicks off my Yasiel Puig page in my binder. Do you have any commercials that will forever be trapped in your head? 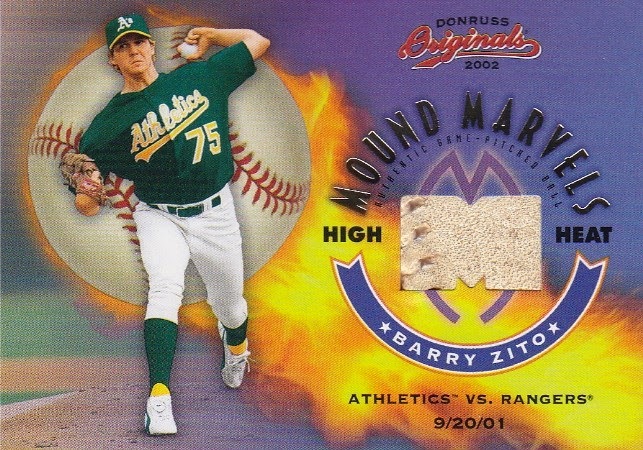 If you're a player collector, does a non-foil error card have a place in your collection? Am I a greedy scumbag for trying to make a profit on these? Lol... don't worry you won't hurt my feelings if you say "yes" to the third question. There's just something about my eBay listing that makes me feel uncomfortable. It's kinda like selling cards of an athlete the same day he/she passes away. You guys are kind of my conscience. If enough of you feel it's "wrong", then I'll take the listing down and add the cards to my collection. 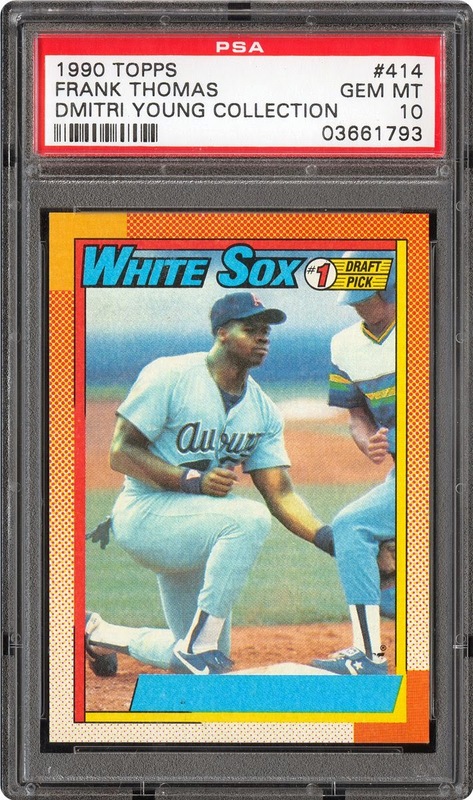 Won't be a huge loss since I've always been fascinated with "error" cards. Hope you had a great week. Happy Friday and sayonara! My cold streak continued at the Capitol Flea Market on Sunday. However... Saturday was a completely different story. 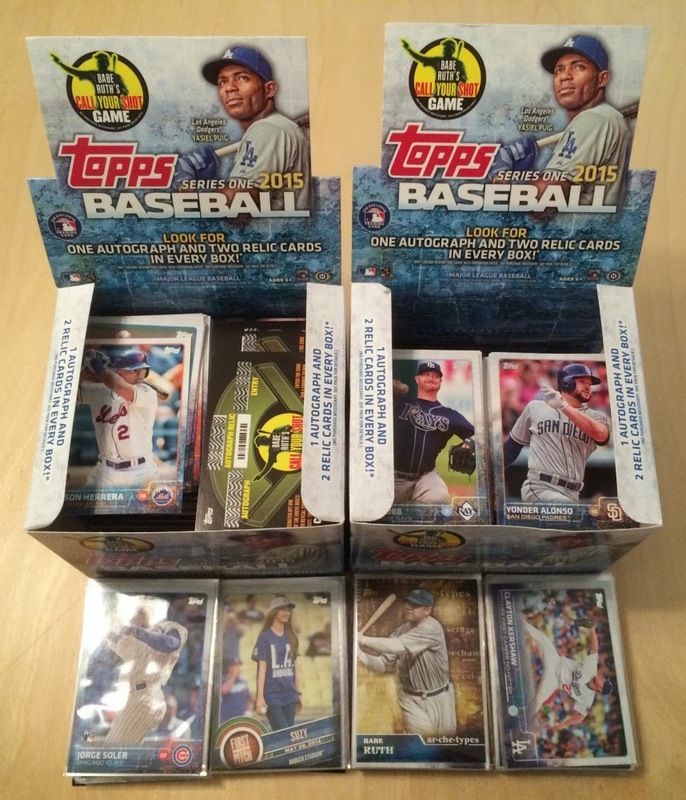 What you're staring at are two jumbo boxes worth of 2015 Topps Baseball minus the autographs, relics, and a handful of singles. 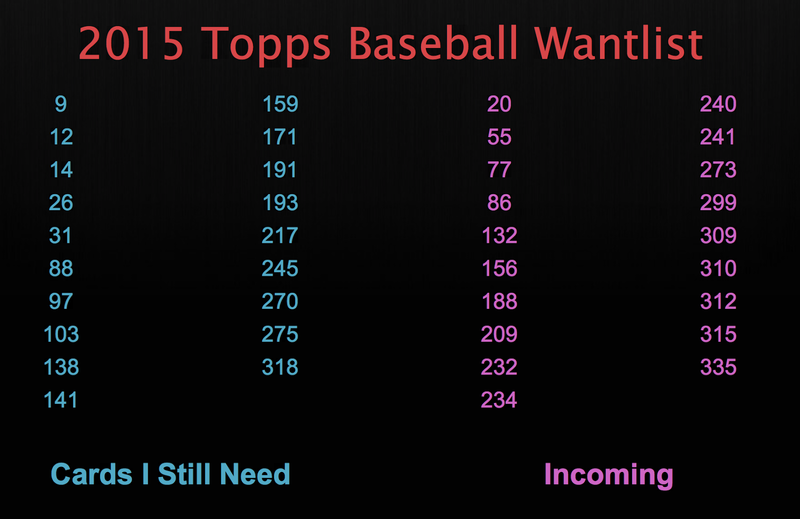 I'll break the purchase down into three categories: base cards, inserts (for my binders), and extras. 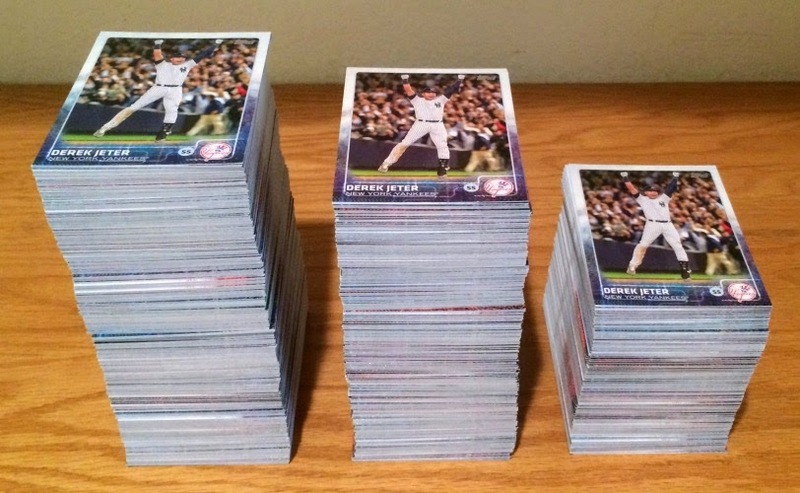 After about an hour worth of sorting, I was able to build one complete base set (left stack), one partial set (middle stack), and there were a bunch of singles left over. Baseball Dad over at All Tribe Baseball offered to help me out and has already cut the number of cards I need in half. If anyone else is building this set, maybe we can help each other out. I have plenty of doubles available for trade. 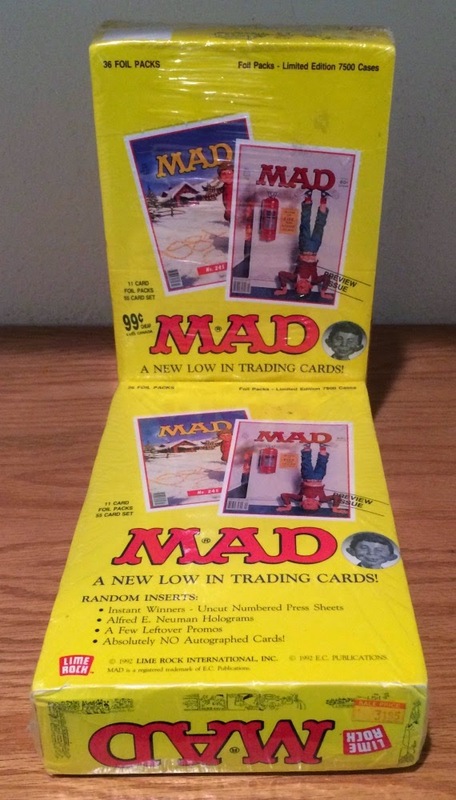 I grew up reading Mad Magazine and have wanted to purchase this set for years. I'm looking forward to busting a few packs and building the set. 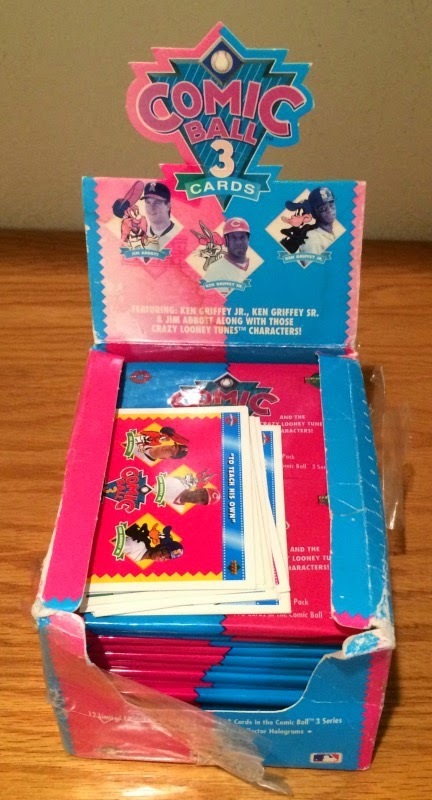 And if it's in the cards... maybe I'll be lucky enough to pull the Alfred E. Neuman hologram that was randomly inserted into packs. Are Bugs Bunny, Daffy Duck, and Yosemite Sam still on TV? Can't remember the last time I watched Looney Tunes. But if you haven't figured it out yet... I really like holograms and this product was filled with them. Well... as Porky Pig says... th-th-tha-tha-that's all folks! Criminal, Athlete, or Actor... You Pick! It's officially the Monday afternoon after The Oscars and if everything went as planned, I had to sit through 30 minutes of movie talk during my lunch break. Now on the surface, that's not that big of a deal. I love watching and talking about movies. The problem is... I usually don't watch anything until it's been on DVD or Netflix for at least 6 months. Last year I went to the movie theaters twice and I can't even remember the names of the movies. So if you want to read a post about last night's winners and losers at the Academy Awards then you've come to the wrong place. But if you want to talk about a hall of fame running back who moonlighted as an actor and eventually turned into a world famous criminal... then grab a chair, sit back, and relax. Today's post is about Orenthal James Simpson and his first and only major movie award. 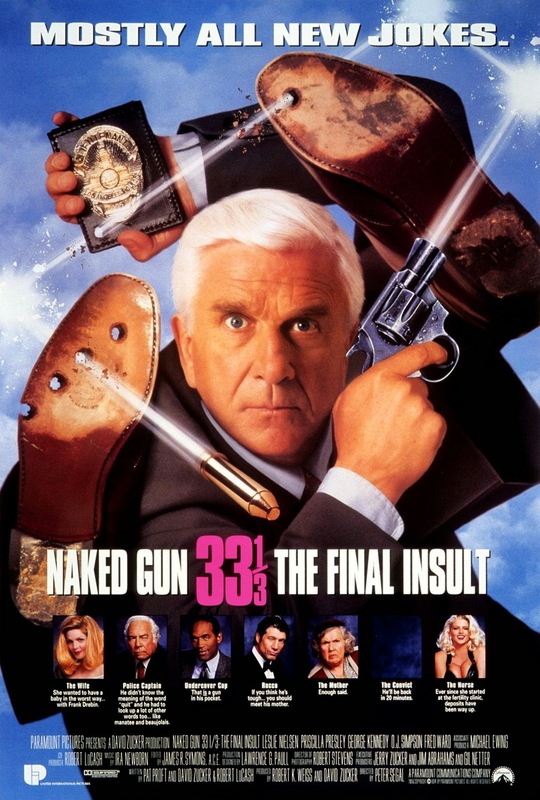 This past weekend marked the 20th anniversary of his 1995 Razzie Award for Worst Supporting Actor in the 1994 film Naked Gun 33 1/3: The Final Insult. Most Razzie Award winners don't attend the actual ceremony... but even if OJ had wanted to... he wouldn't have been able to attend. Back in February 1995, he was smack dab in the middle of his famous criminal trial... also known as The Trial of the Century. 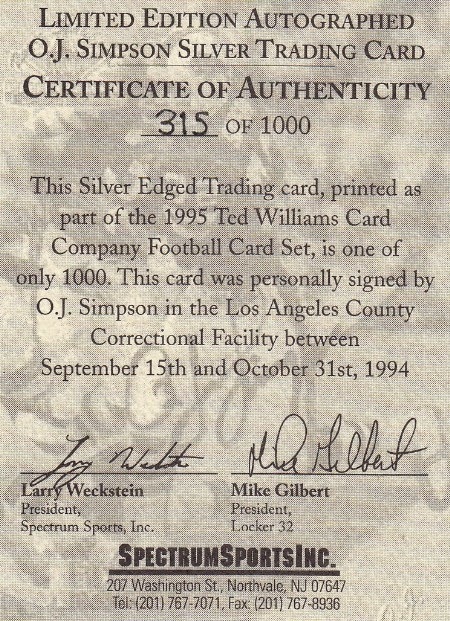 In fact... according to the COA, the autograph pictured above was personally signed by Mr. Simpson in the Los Angeles County Correctional Facility. Twenty years ago, millions of people were glued to the TV watching his trial. 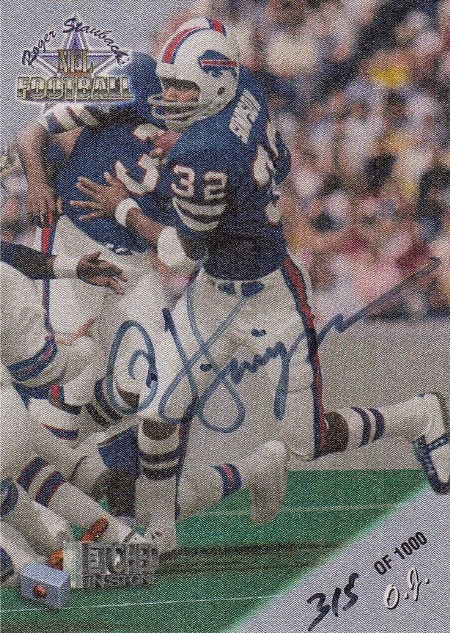 His signature instantly became a hot commodity and commanded three figures. 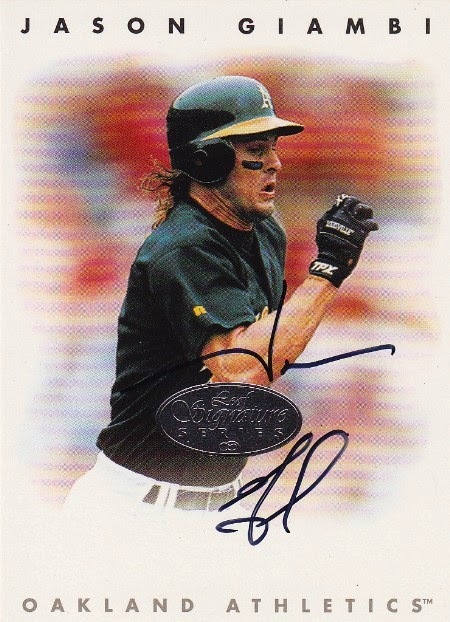 I remember desperately wanting to add his autograph to my collection, but the values quickly soared out of my budget. These days you can pick up his autograph on eBay for less than $50. Last year, I paid $19.95 for my copy and was finally able to cross it off of my wantlist. Mr. Simpson's life story has so many levels. He'll be remembered by most people for the famous ride in the white Ford Bronco, the Nicole Simpson/Ronald Goldman murder trial, or his 2007 Las Vegas armed robbery incident. I'm sure there are plenty of football fans who will also take the time to remember his HOF football career that included a record setting 1973 season where he rushed for 2,003 yards during a 14 game season. And maybe... just maybe... some people will choose to remember OJ for his role in the Naked Gun films. 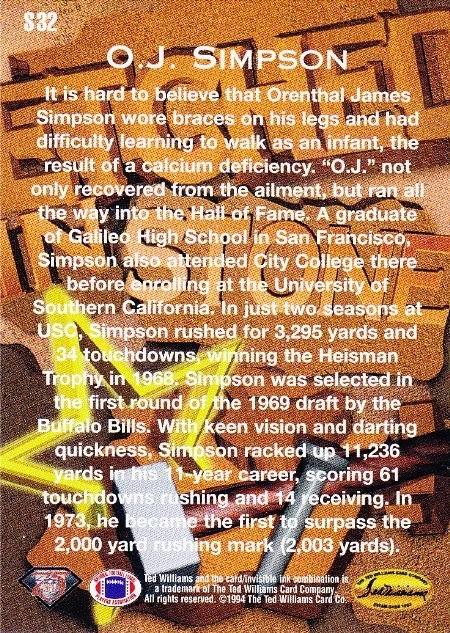 What's the first thing you think of when you hear the name, Orenthal James Simpson? Regardless of how you choose to remember OJ... I'm pretty sure his name didn't come up during too many lunch time discussions involving last night's Academy Awards. Or did it? Something has got to change. Somehow... someway... I've lost that loving feeling. There was a time when I'd wake up on Sunday mornings looking forward to my weekly trip to the flea market. It was a systematic ritual. Wake up. Brush teeth and shower. Get dressed. Prep my backpack. Hit the road. Stop at Starbucks. Visit the ATM. And there at the end waiting for me was the Capitol Flea Market and 90 minutes of fresh air and sifting through peoples' trash. But lately I cherish the peace and relaxation of home over the opportunity of discovering hidden treasures. Maybe it's the weather. Maybe it's the overwhelming stress at work. Or maybe it's the absence of quality flea market finds in the past year or so. Whatever the reason, up until this past Thursday I had been to only five flea markets since November 1st. Take out the three from my cardboard road trip and that's two local flea markets over fifteen weeks. Well earlier in the week, I decided to take Michael Jackson's advice and make a change for once in my life. I targeted Thursday morning on my calendar, set my alarm the night before, and despite having second thoughts... I actually followed through with my plan. Was it worth it? I guess I'll let you be the judge. Now before I get into my purchases, it's important you know some background history of the Capitol Flea Market. When it comes to finding sports memorabilia... Saturdays are pretty bad. Sundays are pretty good. And Thursdays are awesome. Well... maybe not this particular Thursday. They might leave your fingers sticky, but they're delicious. These also leave your fingers sticky, but they're... oh never mind. I've gotta remember to keep these posts Rated PG. Simply put... this was one of those "caught up in the moment" types of purchases. My buddy recently purchased a collection of magazines including a bunch of SI Swimsuit Editions dating back to the 80's. Obviously Kate quickly got my attention. And so did Alex Morgan. Then my friend pointed out that he also had her "rookie" issue. Okay... maybe there's no such thing as a "rookie" issue. But the 2011 issue was Upton's first appearance as a SI swimsuit model and at the time I figured it was worth the 50¢ asking price. The question is... now what? Do I really need copies of Kate Upton's swimsuit issues? 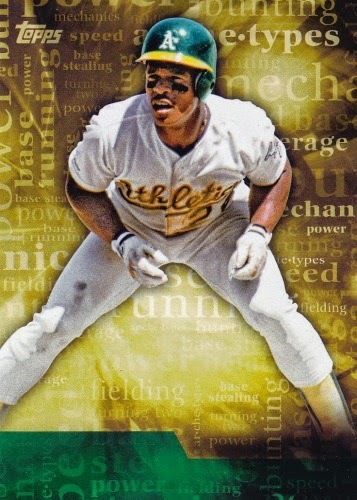 If I had purchased these off of the newsstand I'd definitely add them to my sports magazine collection. But the fact that there's a stranger's name on the address label makes them "forever unclean". The answer/solution? I'll flip them the next time I set up at the flea market. The fact is these actually sell on eBay, so I shouldn't have a problem getting rid of them. The better question is... do you think the pistachios and Ms. Upton were worth my trip to the flea market? Personally... I'm glad I went. 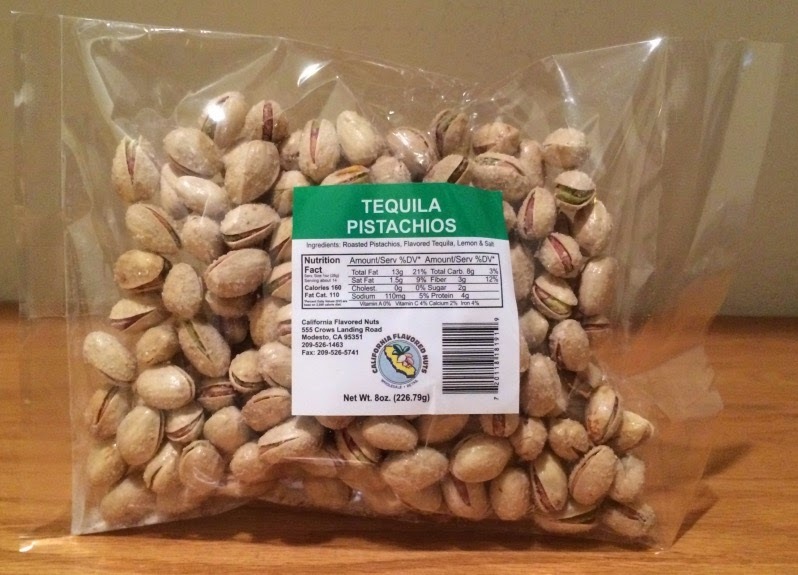 The tequila flavored pistachios were delicious and the exercise and fresh air didn't hurt. Hopefully I can keep the ball rolling and get out of bed tomorrow morning. 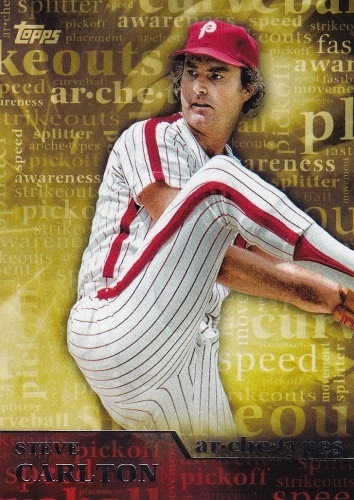 Wes @ JBF's Junk, Chris @ Diamond Cuts and Wax Stains, Dennis @ Too Many Verlanders, Johnny @ Johnny's Trading Spot, Mr. Hoyle, Nick @ Dime Boxes, Kenny @ Torren' Up Cards, Comatoad @ Bleedin' Brown and Gold, Greg @ Night Owl Cards, Matthew @ Bob Walk the Plank, and Jim @ GCRL. Woody and Brett... my CCW brethren... I have packages for both of you too. They should be in the mail by this upcoming Wednesday. If for some reason, I owe you cards and you don't see your name in this post... please leave me a comment below or send me an email. 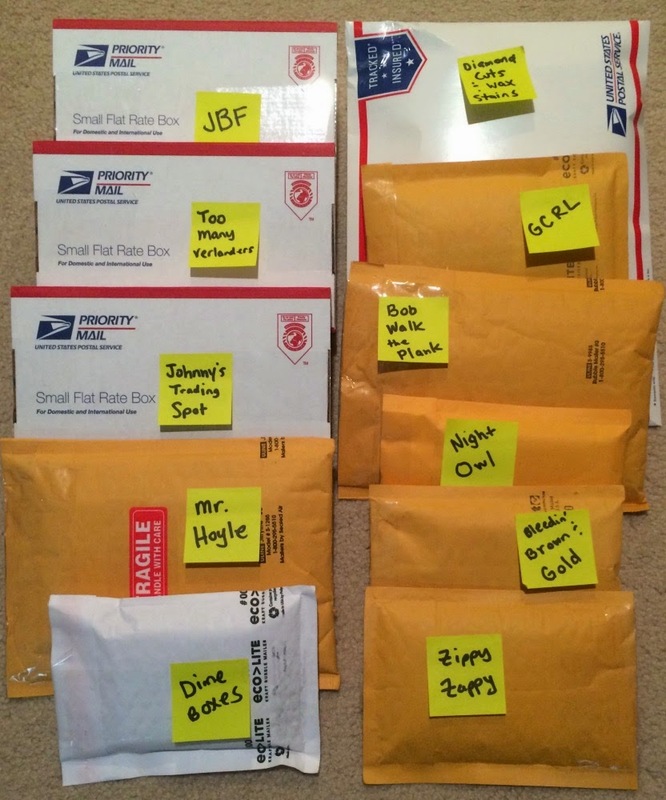 I apologize for the delay and hopefully these cards arrive safely. I truly appreciate everyone's patience. P.S. 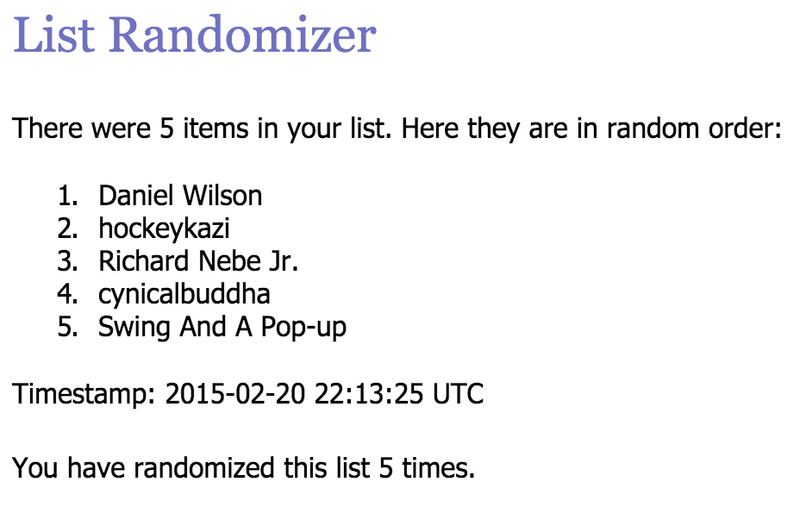 Daniel Wilson... you're the winner of last week's contest. Email me your address and I'll ship out your prize package next week. 1. How many packs did I need to bust last night to build a complete set? A. I had to open 61 packs to get a complete set. 2. 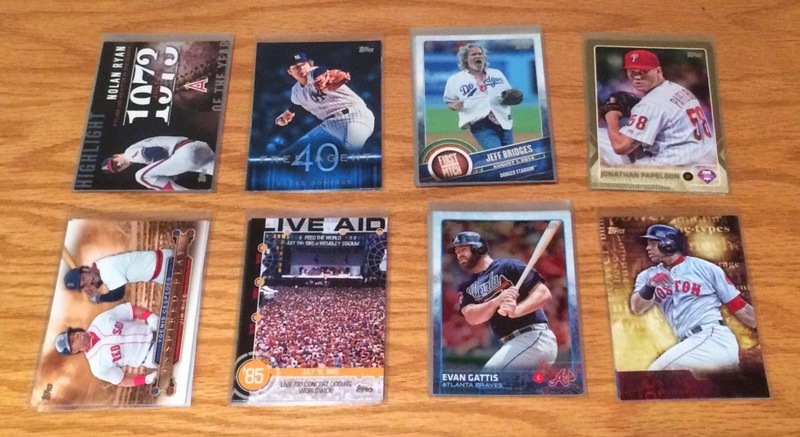 How many Gwynn holograms did I pull last night? A. 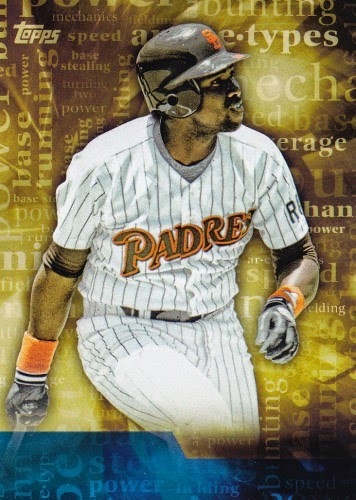 Out of the 61 packs, I only pulled 1 Gwynn. 3. What was the final card number I needed to complete my set? 4. How many cards are in the starter set I'll be giving away in this contest? A. There were 33 extra cards, but only 15 different players. There were a total of four people who each had one correct response, but I added Richard Nebe Jr.'s name to the randomization, because technically his answer to the first question wasn't wrong. So the final group of contestants were: hockeykazi, cynicalbuddha, Richard Nebe Jr., Daniel Wilson, and Swing And A Pop-up. 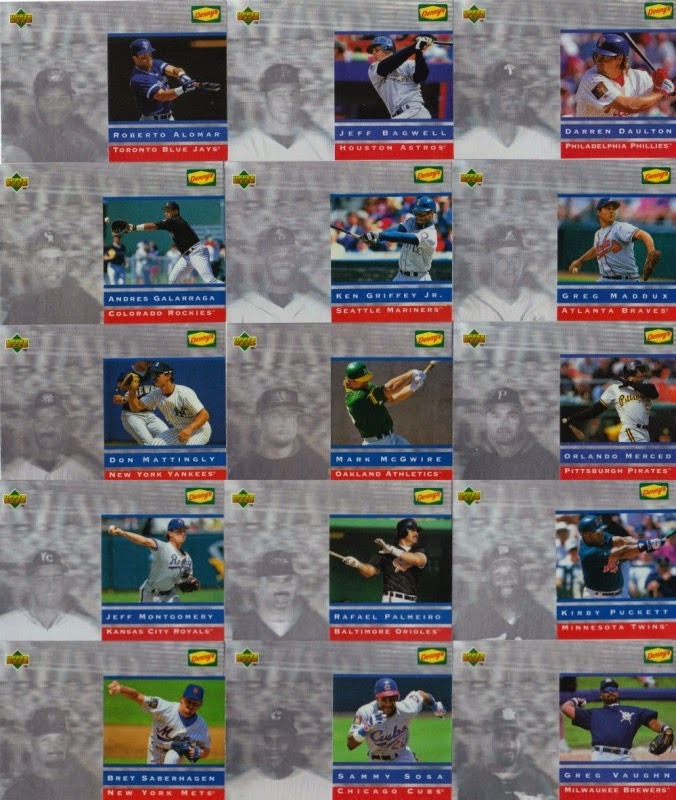 On the left is a fifteen card starter lot that includes Kirby Puckett, Ken Griffey Jr., and Greg Maddux. 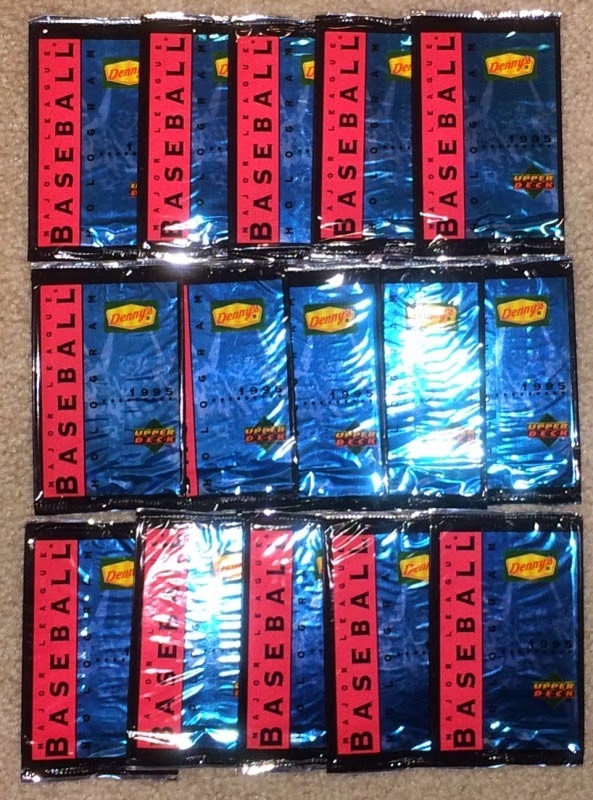 To the right are fifteen unopened packs to help you complete your set. 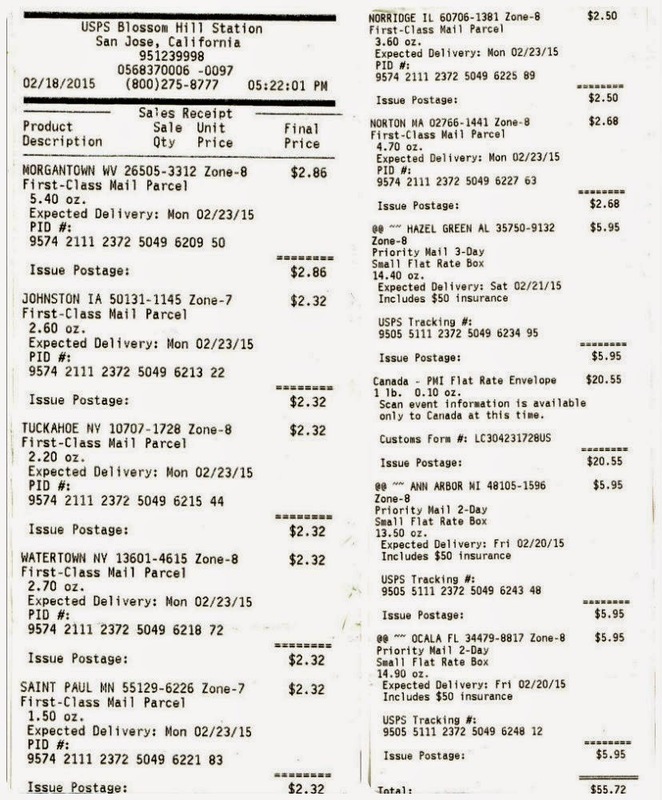 Daniel... email me your mailing address and I'll ship your package next week. Thank you to everyone who participated. I still have more items to give away over the next few months, so please stay tuned. At this juncture in his career, who knows what Barry's balls will do. Will his (curve) balls hang? Maybe they'll start to sink. Whatever they end up doing... 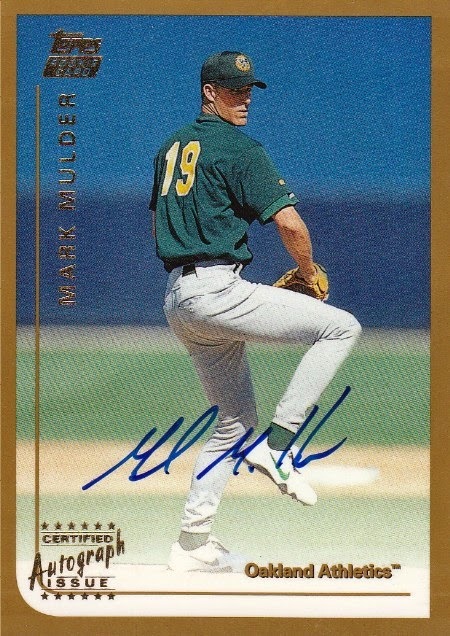 I'm just glad his balls are back in the A's organization. Oakland's offseason hasn't been exactly kind to this particular A's fan. They're obviously rebuilding and after last year's epic collapse, most of us saw it coming. But that doesn't change the fact that I'm a little bummed out about the whole situation. So what does this baseball fan do to cheer himself up? Well if you're me... you reminisce. And this week's topic... in honor of Barry's return... is The Big Three. 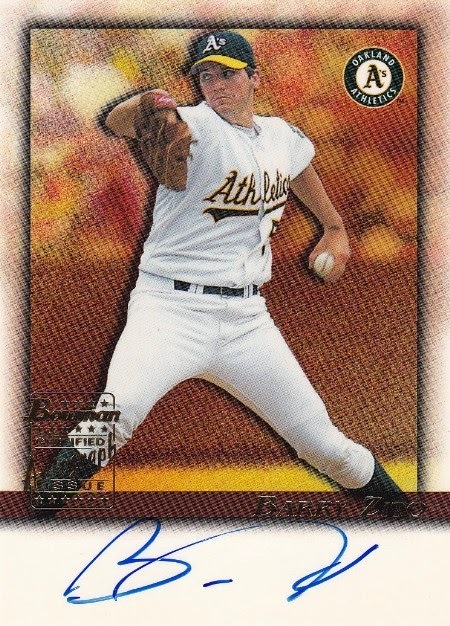 From 2001 to 2004... Barry Zito, Tim Hudson, and Mark Mulder anchored one of baseball's best starting rotations. During those four seasons, the three had a combined record of 198-99, made five all-star appearances, three playoff appearances, and won one Cy Young Award. 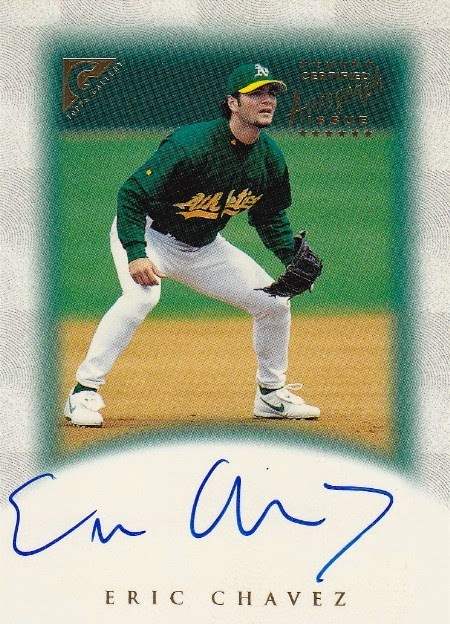 It's just a shame that they never found a way to get over the hump, because the A's were so talented back then. 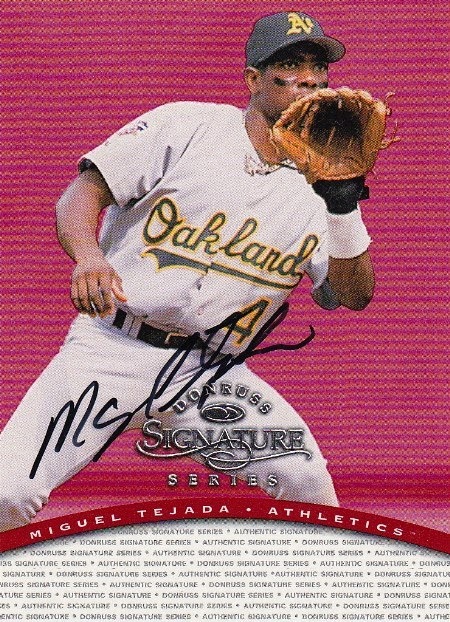 Especially in 2001, when they featured the Other Big Three: Eric Chavez, Jason Giambi, and Miguel Tejada. 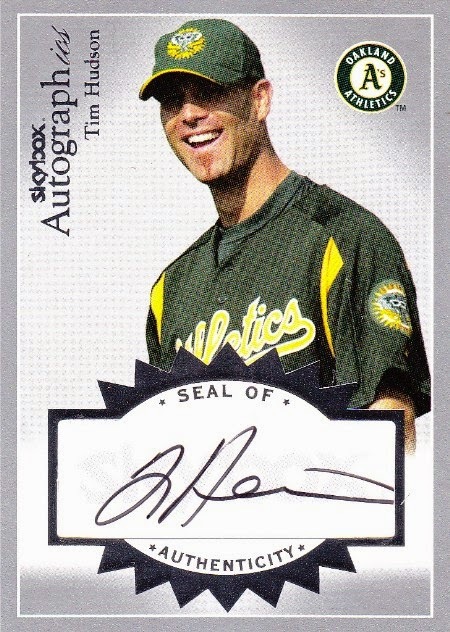 Oh well... that has sort of been the Billy Beane theme since he became the A's GM in the late 90's. Now don't get the wrong idea... I'm not complaining. I'm sure he has something up his sleeve for the Athletics future. Let's just hope it doesn't involve Barry's balls being centerstage. Who's you favorite Big Three starting rotation of all-time? I wish I could have seen Ken Holtzman, Vida Blue, and Catfish Hunter pitch during their run in the early 70's. But that was a little before my time. At least I was fortunate enough to watch Greg Maddux, Tom Glavine, and John Smoltz dominate the 90's on TBS. Happy Hump Day and sayonara! P.S. There's still time to enter my first contest of 2015. Just click here. He's a HOFer in My Book!